We are one of the leading manufacturer of Winter Collection Jute Cane Handle Bag. In the wake of the ever rising demand for reliable products, we are engaged in offering a wide assortment of Cane Handle Winter Collection Jute Shopping Bag. This high quality Cane Handle Winter Collection Jute Shopping Bagis very popular in the market segments for their high durability, quality, optimum performance and reliability. We make use of first grade raw materials that are sourced from reliable vendor base of the industry. 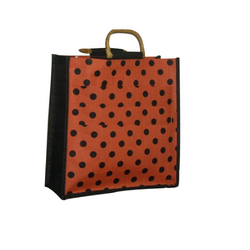 We are one of the leading manufacturer of Polka Dot Print Jute Cane Handle Bag. 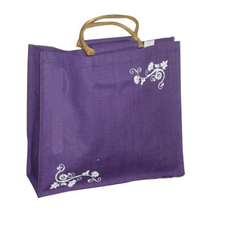 This high capacity Jute Shopping Bags are designed and developed in tandem with international quality standards. We offer these Jute Shopping Bags in latest designs and styles that are widely appreciated by our huge international client base.